So there’s movement at last on two long-empty “eyesores”, the White Swan Hotel and Shipton Street School site. 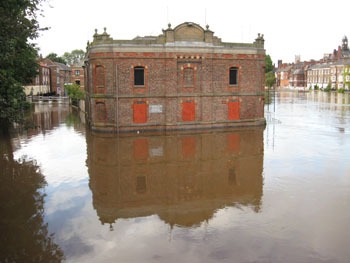 Both were included on a page on this site back in 2004 which attempted a round-up of some of York’s empty buildings. The school is a listed building, the hotel isn’t, but both are to be remodelled rather than demolished. Gutted inside, presumably, but looking similar from the outside. Well, smarter, without boarded-up windows. Also included on the 2004 list was the Bonding Warehouse. Still no sign of a solution for this one, though there were glimmers of hope when I started drafting this page. Council leader James Alexander said recently that the council is “committed to the creation of a digital media and cultural centre” and that this was the preferred site. Councillor Anna Semlyen, on Twitter, questioned the wisdom of putting “High tech kit in [a] flood zone”. Reasonable question, which was later discussed by councillors. The Press later suggested the Bonding Warehouse idea may have been dropped. Another large empty building, another “eyesore” mentioned before. Not as pretty as the old warehouse or the disused hotel, but better looking than the looming dullness of the buildings further down the street. A place once home to forward-thinking endeavours. The dreams of flight flew off elsewhere when the local authority of the time weren’t supportive. Apparently today’s innovators are also leaving the city, not because of a lack of support, but because of a shortage of suitable premises. How about reclaiming this place? Maybe the memories of Airspeed and the playfulness of more recent occupier Megazone could help inspire flights of creative fancy in the digital/cultural realm. But as to most people it’s just “that old bus garage” it’s more likely to be bulldozed and replaced with a 21st century version of the horrible Ryedale House. Then there’s this old place, unoccupied and looking more decrepit with each year that passes. 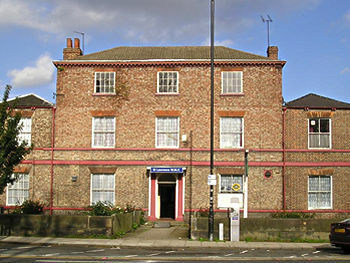 It isn’t an obvious landmark building like the Bonding Warehouse, but it does have historical and cultural significance, as the Tukes lived here, according to the photos and associated records on www.imagineyork.co.uk. I heard that York Quakers were concerned about the building, and Jonathan Calder’s blog mentioned it recently, but other than that it appears there’s not much interest. It would be nice to hear from anyone who has further information on this building – its history or plans for it in the future. 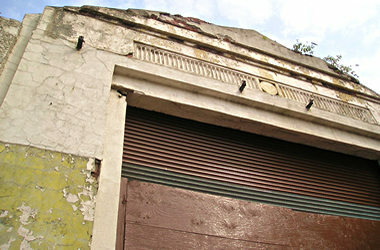 It’s a difficult thing of course to rescue neglected buildings, and perhaps we can’t save them all. 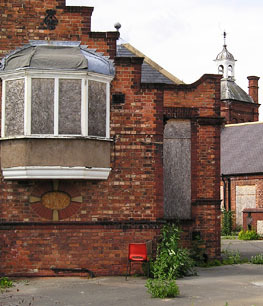 So many have been saved from dereliction, and one or two come to mind which I’ve neglected to mention. Will save those for another time.